The Ware for July 2018 is shown below. Thanks to the little birdie that dropped this ware in my inbox. :) Really nice photography work. This entry was posted on Wednesday, July 18th, 2018 at 2:45 pm and is filed under name that ware. You can follow any responses to this entry through the RSS 2.0 feed. You can leave a response, or trackback from your own site. 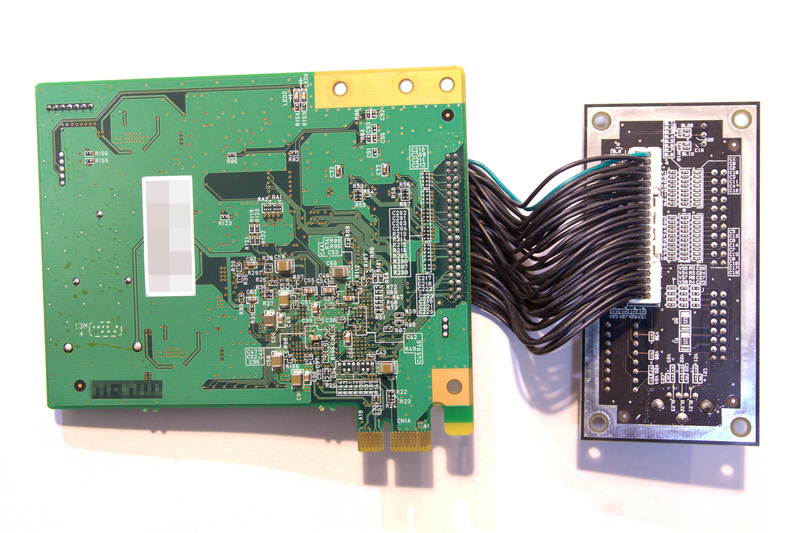 Purpose built card for some x86 ‘arcade’ thing? Pretty sure it’s a Naomi-style arcade adapter kit to convert a Sega Naomi arcade machine into one that can run Capcom games. The connector layout primarily gave it away but the battery is also a clue. I agree with it being an IO board for an arcade machine. The giveaway for me was the connector panel with a combination of dip switches and a USB connector. The latter is most likely not USB at all, but JVS. An interesting combination of interfaces present. CAN: 2xtja1050 at the top left of the main board. RS232: 2xMAX3243E below that. RS485 1xDS485 transceiver further down. There us also another MAX232, but it appears connected to a DNP connector, perhaps for debug. There are both DS2465 and DS28E15 Maxim Deepcover authenticators on the board, so it clearly has a role in DRM for the games as well. 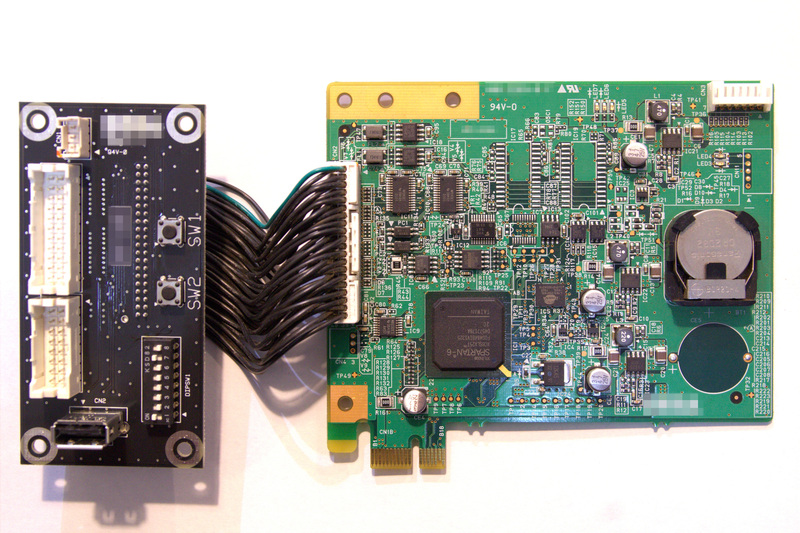 Interesting contrast to see an FPGA implementing PCIe connected to an old school asynchronous SRAM. Perhaps backed by the coin cell and tamper protected? The SRAM does appear to have a 1uA standby mode. discover how their arms are.